All Adkins homes currently listed for sale in Adkins as of 04/22/2019 are shown below. You can change the search criteria at any time by pressing the 'Change Search' button below. If you have any questions or you would like more information about any Adkins homes for sale or other Adkins real estate, please contact us and one of our knowledgeable Adkins REALTORS® would be pleased to assist you. 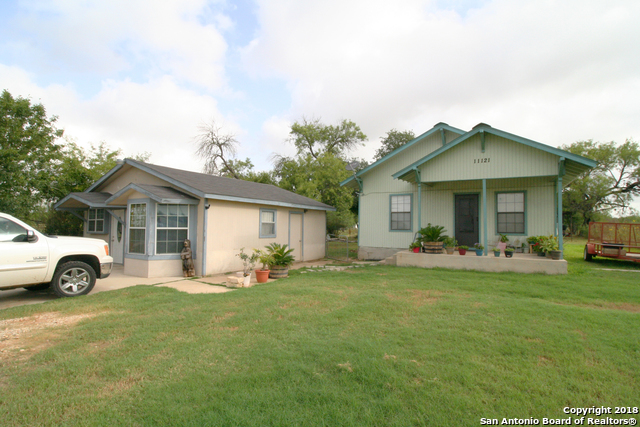 "EQUINE PARADISE with hilltop view minutes from downtown SA in LVISD! Every inch of this 5.88 acres is designed for horse & human comfort. The custom-built limestone/stucco, open concept, high-ceiling home, awash in natural light, boasts recent upgrades including $50K kitchen, wood & tumbled travertine floors, low E windows, 16 SEER HVAC, 3 car garage, all seasons porch, pool, 2 firepits, crushed granite paths. A 4-stall barn, paddocks, jumping arena, workshop, trailer shed & 1200 sf guest house "
"5 Acres!! Main house has 5,500 sq ft. 5 Bedrooms, 4 Bathrooms. Lovely huge, open floor plan. Kitchen, custom made cabinets, granite counter tops, side by side refrigerator & freezer. Huge Rooms! Attached 2 car garage + 2 car detached garage with RV covered parking & separate boat storage. Outdoor cvd patio with entertainment area, w/fireplace, batting cage & basketball court are sure to be loved by the family. PLUS separate 800 sq ft living quarters. There is to much greatness to list! Call f"
"Open House Sat April 20 11-3. Luxury living just outside of town! 100% cave rock exterior. Grand ceilings, 8ft doors, crown molding, porcelian tile with a unique foyer design, custom mahogany cabinetry, ceiling fans, and large fireplace with rock to the ceiling! Huge pantry and laundry room with a secret room attached! Home is surrounded by trees and has a very old oak tree in the back. Plumbed for propane and water softener. Pre-wired for security and surround sound. 2 HVAC systems. 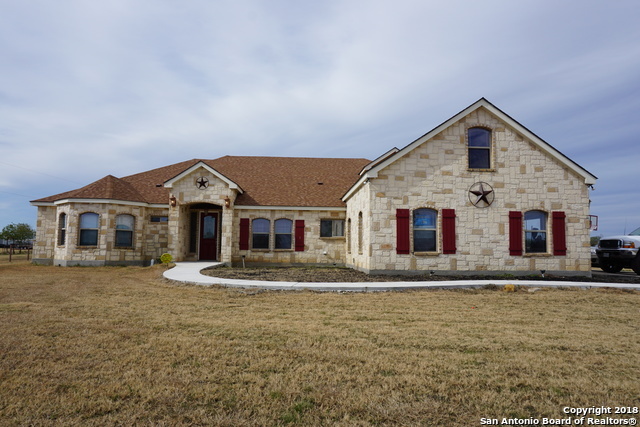 16 stud on "
"*MOVE IN READY* Brand New,Nearly 3000sf Rock Hm w/3-CAR GAR & Lots of Upgrades on 1-Acre w/No Immediate backyard neighbors,3 or 4 BD/Study,3-BA (Jack & Jill) Very Open Floorplan Raised Ceilings,Arched Rock Columns,Wood looking Ceramic Tile flooring *THRU-OUT* Gourmet style Island Kit w/,Pot filler,DBL Ovens,Arched Rock Cooktop area & Walk-in pantry,B'fast Bar,Nook & Formal Dining Rm,Central Vac Unit w/Wally Vac,Lighted Art Niches,Jetted tub,2-Fireplaces w/1 in the 30x14 Patio & LANDSCAPE PKG W/S"
"Superior Built Custom Home Exquisitely Designed w/only the Finest Appointments Throughout to Include Wood Look Tile Floors, Dark Walnut Stained Knotty Alder Cabinetry, Soaring Family Room Ceilings with Exposed Beams, Chef's Kitchen w/Stainless Steel Apps & Granite Counters. Master Retreat w/Luxurious Spa-Like Bath. Three Spacious Guest Bedrooms and Separate Study. 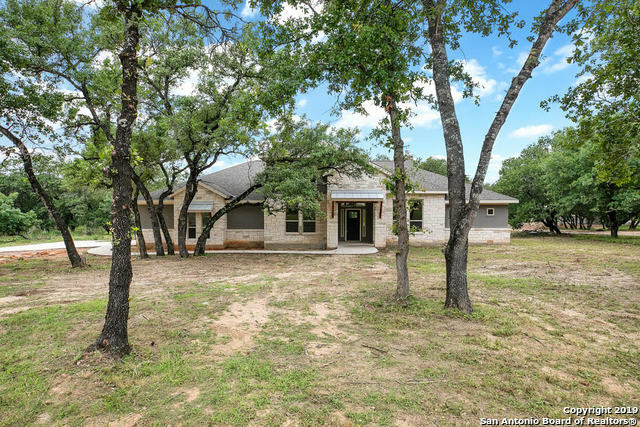 Outdoors Boasting Pristine Landscaping, Large Covered Patio w/ Outdoor Kitchen Equipped with Blaze Gas Grill, Stainless Cabinets & Si"
"Come get your little piece of Texas complete with over 2500 square foot home on 5 treed acres! Great 3 bedroom, 2.5 bath with separate dining area (FD), breakfast area, office and 23 x 23 family room with fireplace. Remodeled master walk-in closet. Wood laminate and ceramic tile floors. 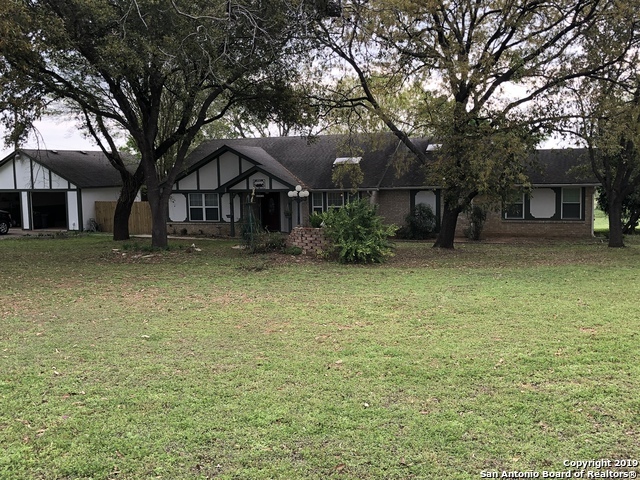 New interior paint, new roof to be installed, covered extended patio, pond, horses allowed, plenty of wildlife, lots of room, Mom can plant that beautiful garden and all can enjoy the great outdoors!" "This beautiful custom home sits on 1 acre lot located in Eden Crossing subdivision. 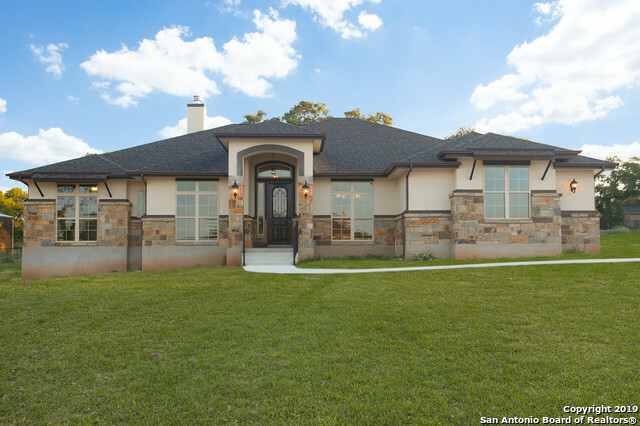 Home features arch entries, bright and open floor plan, family room w/fireplace, high ceilings, separate dining area. Grand gourmet island kitchen w/granite countertops, all new appliances, custom cabinets and walk in pantry. Grand master suite with custom bathroom. Spacious backyard with covered patio great for those family gatherings." "*Brand New* Nearly Move in Ready in Eden Crossing Subd,Low 2.1% Tax rate,No City taxes,Approx 25-Min to Ft Sam/RAFB/Downtown SA..Nearly 2600sf 3 or 4 Bd,2.5 Ba Very Custom Blt Hm on 1.3 ACRES w/Very Open Floorplan,Raised Deco Ceilings,Crown molding,Walk in closets,Wood Looking Ceramic tile plank flooring & Granite tops THRU-OUT Island Kit has B'fast Bar,Blt-in Appliances,Pot filler & Walk thru pantry,Master Ba w/Jetted tub & Walk thru shower,30x14 Patio w/Beaded ceiling & LANDSCAPE PKG W/IRRIGAT"
"*MOVE IN READY* Nearly 2600sf Very Custom Hm w/Lots of Bells & Whistles on 1.09 Acres,Very Open & Bright Floorplan w/Lots of Windows & Raised Decorative Ceilings,3 or 4 Bd/Study,Walk in Closets,Island Kit w/U-Shaped B'fast bar & Ceiling to match w/beams,Blt-in SS Appliances,Butlers pantry,Pot-filler,2-Dining or Living Areas,Arched Metal Entry door,Wood looking Ceramic Plank flooring & Granite tops Thru-Out Master Ba w/Walk thru Shower & Jetted tub,26x14 Patio,26x23 Gar *Landscape Pkg w/Sprinkler"
"Beautiful Home built in quiet neighborhood just outside SA w/ close to town amenities & quiet country feel. Boasts High Ceiling and Elegant High-end features: Custom Cab w/ Granite Counter-tops, 100% tile, SS appliances, 100% Rock Exterior, LG walkin Closets & Pantry. Bdrm 2 & 3 Connected with Jack & Jill Bath.4th Bdrm could also be a Study. Stained pine on Patio & Porch ceilings! 3 car garage for added space. Verify schools, Agent is related to Seller. 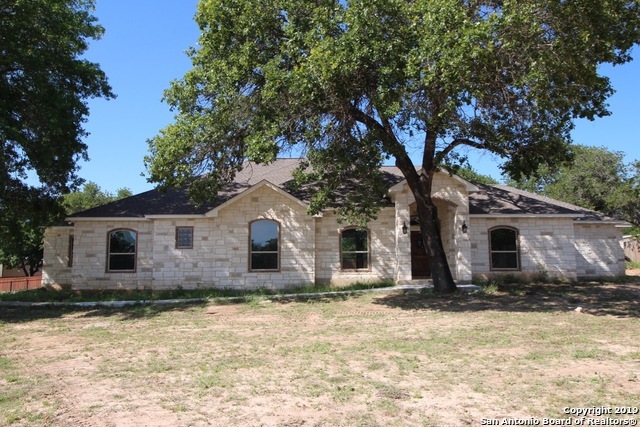 Rm measurements are estimates from builder"
"1.5 story ranch-style home located on 5 acres of beautiful land in the Home Place subdivision with LVISD. Spacious family home features Lg Entry open to Dining&Living.Home has 2 fireplaces, one in living room & master bedroom.Open Kitchen overlooking two nook eating areas. Abundance of windows allow natural light. Upstairs features a bonus room& bedroom w/ full bath. Front and Back porches to enjoy the outdoors.This gated property includes mature trees with beautiful country view, Fully Fenced"
"Nice Country living private Two Story rock stone home. This 4 bdrm,4.5 bath home sits on 2 acres including 2 living rooms w/underground wine cellar@2 build in safes. Home has great features custom wood cabinets thru out the home open floor plan,spacious kitchen & dining room. Large workshop on concrete slab and extra storage shed. Extra Carport with Garage. Downtown is 20 minutes drive." "You won't want to miss this ranch style home FULL of country charm. 3 Bedroom/2 Bath 1 Story on a large manicured .98 acre lot. Some features of this home are open floor plan, high ceilings, split plan w/rock island/breakfast bar, wood flooring, ceramic tile, granite counter tops in kitchen, stainless appliances & an eat in kitchen w/built in storage benches. Outside are front & back full length porches, inground pool w/slide, carport, 30X30 enclosed shop w/electric & 10x30 covered space and "
"Wonderful Country Setting! 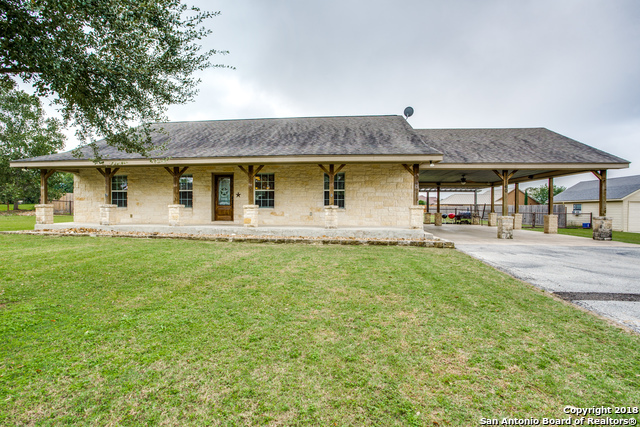 On 1604 with commercial possibilities, this nearly 6 AC property is a real charmer. Gently sloping lot with many trees and plenty of space for your horse. Easy access to all San Antonio has to offer without the hustle and bustle of the city. Only 15 MI to Randolph.. 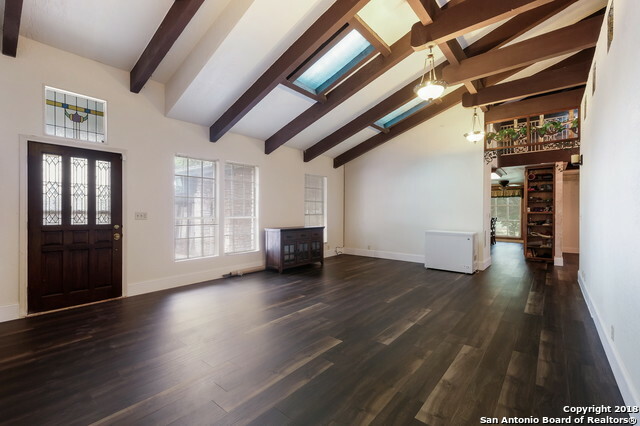 Seller believes that the the home is larger due to a room addition but not positive. Grab an orange or grapefruit from the tree. Property used to have oil wells. Mineral rights available at add'l co"
"Quiet country living within minutes of major hwys and close proximity to downtown. Features include a unique, custom open floor plan, High ceilings with wood enhancements, travertine and marble floors, chef inspired gourmet kitchen features built in appliances, butcher block on cabinet surfaces and copper sink, overflowing breakfast bar into living area, inground pool, covered patio with outdoor kitchen, metal roof, oversized car garage. Commercial property and adjacent 5 acre ranch also for sal"
"This property has frontage on Hwy 87 and Loop 106. You could run your business next to your home. This 3/2 home has been completely remodeled to include- Interior- new paint, sheetrock, trim and crown molding, Laminate and tile floors, butcher block countertops, stainless steel appliances, 36 inch cabinets, new central heat and air unit to include 10 ductwork, hot water heater, and Hunter fans. 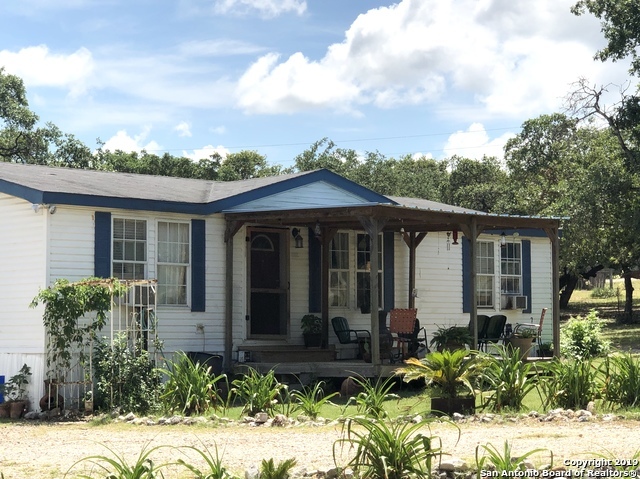 The exterior was completely redone to include new foundation,new siding and paint,"
"Country living in this Ranch style home on aprox 1.63 acres. 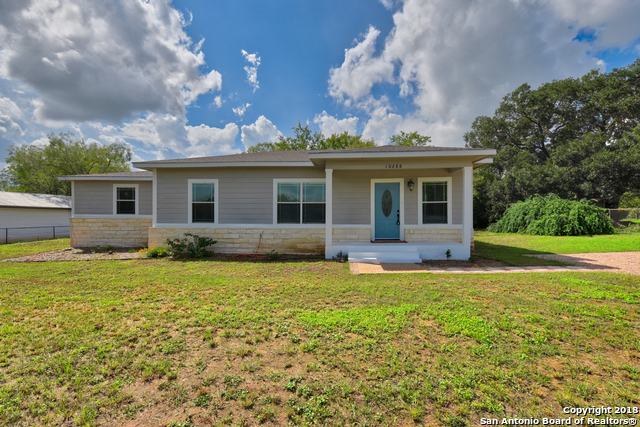 La Vernia ISD 3 bedrooms and 2 baths home with white rock and siding. Outside freshly painted. Living area has high ceilings, with white rock fire place. Open kitchen & dining. tile throughout, large laundry room, and large walk in pantry. Large front porch to enjoy cool evening. A/C new has 10 year warranty per seller. Storage shed. carport. 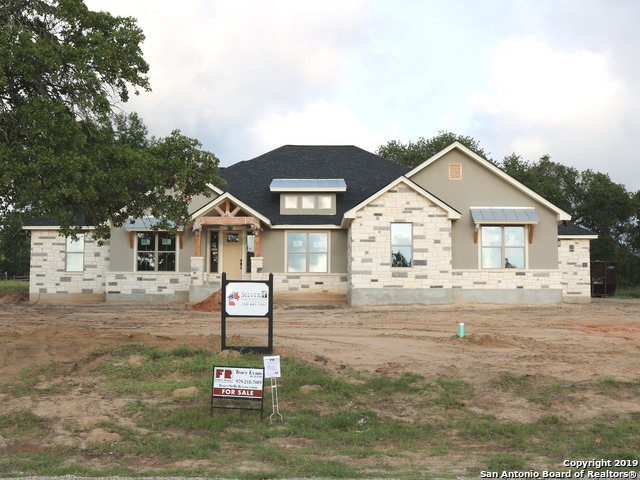 LVISD"
"Under Construction in Spring Valley Subd,a 1-Street Subd,Est Comp APRIL 2019,Approx 1500sf Ranch Style Hm w/Very Open Floorplan on a 1-Acre lot w/trees,4-Side Hardi-Board Cement Type siding,Concrete foundation,Radiant Barrier Roof decking,Tilt out Low E vinyl windows,Ceramic Tile flooring & Granite Countertops Thru-Out Cathedral ceiling in living/dining rm & kit,SS appliances (stove/oven combo,microwave & dishwasher) B'fast bar & Walk in pantry,Raised Ceiling in Master Bd & Walk in closet,Great "
"New manufactured homes on one acre of land. Choose the one you like. 1475 sq ft for $175,000. 1791 sq ft for 189,000, and 2001 sq ft for $205,000. La Vernia School District." "Quiet Country living in Adkins TX! 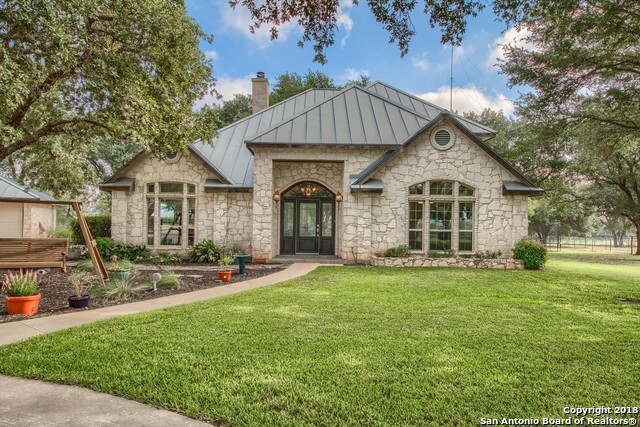 25 min from downtown San Antonio on approx 1/3 of an acre lot. 3 bedroom 2 bath with an extra room to be use as office/study plus converted detach garage with 1/2 bath with a minisplit included! that can be used as an independent office or small business or theater/game room, approx. 576 sq ft. (verify measurements). A must see!" "New manufactured homes on one acre. There are 4 tracts available. Prices are as follows. 1475 Sq ft for $175,000, 1791 Sq ft for 189,000, and 2001 sq ft for 205,000. All homes will sit on one acre of land. Fencing is up. Call for any questions. Taxes have not ye been assessed." "Tucked away on a cul-de-sac, you'll find this charming home on over an acre of rambling centuries-old trees, secret gardens bursting into bloom, play areas, cross-fenced trap for your HORSE and CHICKENS, 10x12 shed and all the UNRESTRICTED SPACE you'll need for whatever your heart desires! There's even room for your RV, boat, or heavy work truck. ALL appliances, including REFRIGERATOR, WASHER & DRYER, CHEST FREEZER are yours! Make this magical property your own before it's gone!" "Are you looking for your first home, wanting a lower price in this crazy market & willing to put in a little work...this place if or YOU! This could also be the perfect buy & hold for Investors. Home sits on over 1/2 acre of land in a GREAT school district! 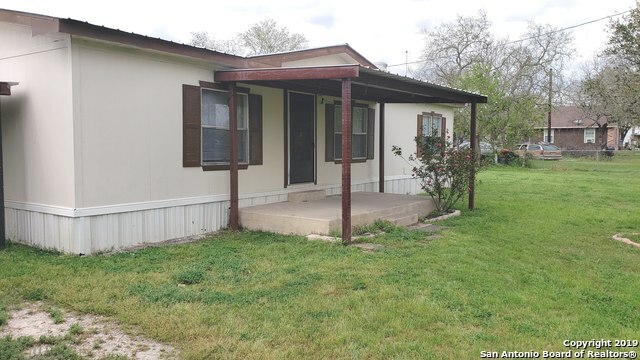 Features a covered porch for breezy days, has NEW metal roof & a septic system that's ONLY 2 years old. Does need new flooring & you personal touch for the home-y feel! Schedule a showing to make this place HOME before it's too late!"